I am delighted to be be a part of of the CCD Selection @ Craft Central which runs from Tuesday to Sunday of next week. The exhibition is a pre-cursor to its big sister, the celebration of craftsmanship and design that will take place again this year at the Thirlestaine Long Gallery in Cheltenham from 19th - 28th August. This weeks exhibition previews the Cheltenham show by including the work of 22 craftspeople from around the country. I am looking forward to the show not only as an exhibitor but also as a viewer in anticipation of what the other craftspeople will have created. the show consists predominantly of furniture but includes other disciplines also such as jewellery and ceramics. The pieces on display are all for sale at the show and it gets underway on Tuesday 16th with a "meet the maker" event from 3 to 7 pm where all the craftspeople will be on hand for a chat. the exhibition runs through until Saturday and is open from noon until 7 pm each day. It is held at Craft Central, 31-35 St Johns Square, Clerkenwell London, EC1M 4DS. 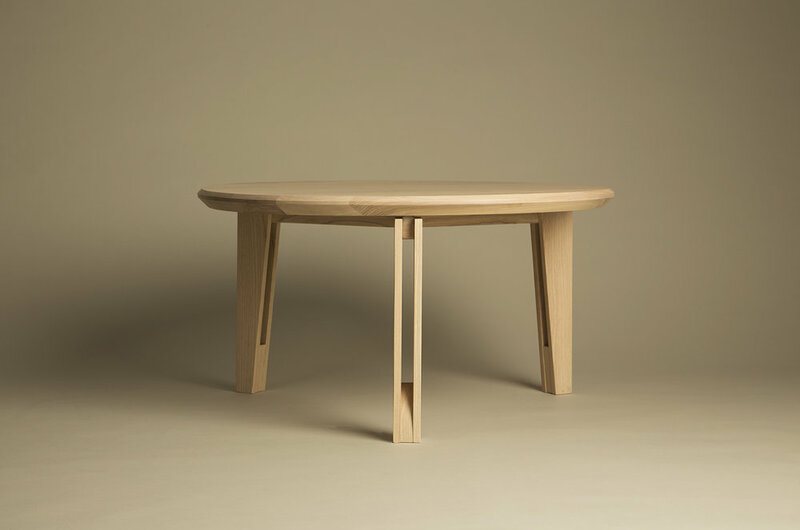 At the show I will be a set of two side tables and a mirror which are the second and third instalments in the retrospect series of furniture pieces. They are created from American Black walnut and are inspired by the atomic style of furniture and design from the middle of the last century. The image below gives a little preview of the style of the pieces.